Investment dealer Raymond James Ltd. has announced that Ryan Lewenza joins the firm as its new private client strategist for Canada. "I am into week two, fully settled in," says Lewenza in an interview with WP. Lewenza comes to Raymond James after a decade and a half at TD, where he journeyed through the TD online, TD securities, eventually working on the research side with Patricia Lovett Reid. "I leaned a lot from her. I had a great experience," says Lewenza. He has been doing macro research, investment strategy, communications for the last four or five years. "What sectors are doing what, what this means for the TSX?," he says. 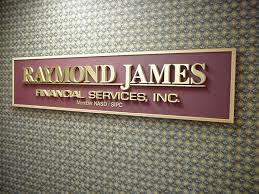 At Raymond James he'll host morning calls, advise the advisors. "I just got off a call with someone with 10% of their portfolio in gold. They wanted to know, 'Should I have more or less?' We talk about that," he says. Lewenza will eventually work on some on the institutional side, "but private client will be the focus." So while "growth in earnings has stalled" and "the stock market is technically over-bought"--a situation that will lead to a pause in the market this summer--signs of a looming bear market are not there. There is pick-up in the economy, even if the market sags this summer. "There will be a bit of a soft patch through the summer and fall. But the things that create a bear market, rising interest rates, are not a concern yet, and won`t be for at least a year," says Lewenza. The risk is that ISIS creates larger problems in Iraq; oil goes to $150 a barrel. "That would slow things down. But be ready with that buy list. Canadian energy companies will do well. I think that`s my best idea right now. The TSX has been the strongest market in developed countries this year, up 11%. Within that, the energy sector is up 19%. I think that trend has another eight or nine months to go," says Lewenza. "We're still bullish."